Are you interested in getting free gear? Who isn’t? Below is a list of all the Outdoor, Camping, Backpacking, Hiking, and Kayaking gear giveaways I could find. Check back next week to see if I can find any more. MyLifeOutdoors (yes that’s me) is giving away a Big Agnes Husted 20F Sleeping bag. Technically the giveaway hasn’t started yet, but if you subscribe by email you can enter early. Giveaway Ends: May 13th. Section Hiker is giving away a ton of Tents and Backpacks he has previously tested. Hurry giveaway ends Sunday April 14. Madera Outdoors is giving away a hammock on their Instagram. Backcountry Edge is giving away two Gregory Backpacks. One Men’s one Women’s. Giveaway ends Monday April 15. 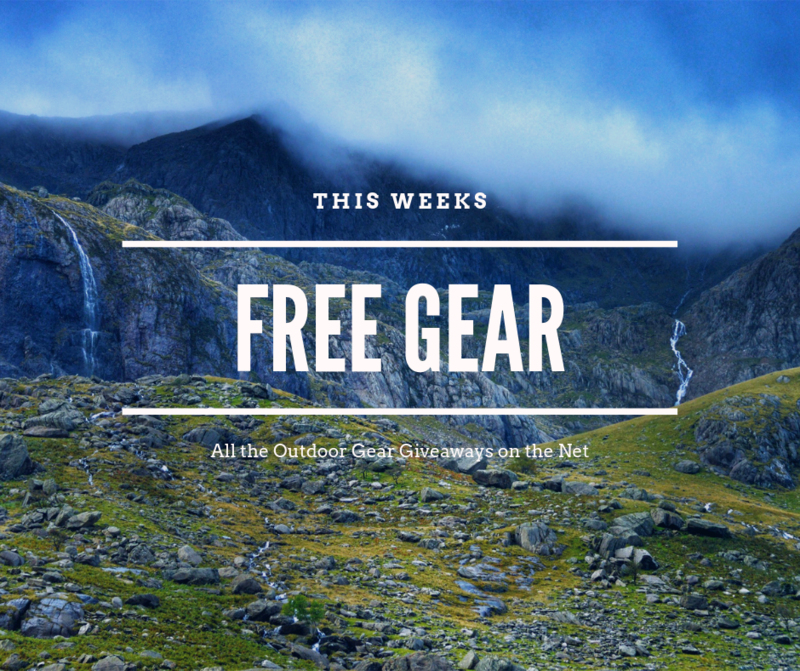 Here is a giveaway for an Osprey Dayback and other gear. Gear Junkie is giving away some trail runners. Look on the right hand side halfway down the page. The Dyrt is giving away a ton of stuff (based on geographic location) for reviewing campsites. Giveaway ends April 30th. Denver Beet Co. is giving away a Big Agnes Tent. Giveaway ends May 15th. ReddyYeti is giving away a ton of ski gear including a pair of skis, snowboard, boots, clothes and more. Giveaway ends April 15. The Big Blue Mtn. is giving away some camping pillows. Giveaway ends April 30. Take Me Camping is giving away a huge car camping package plus a 3 night getaway. Giveaway ends June 1. Chaco is giving away a tent, sleeping bag, backpack and some other stuff. Giveaway ends this Sunday April 14. Here is a slew of Kayaks being given away. Most are fishing kayaks. I’m not big on fishing…but I do like kayaks. Level Six is giving away a fishing kayak. Giveaway ends: April 29th. Driftless Outdoor Show is giving away a hunting and fishing kayak. Giveaway ends: April 22. Paddling.com is giving away a pelican fishing kayak. Giveaway ends April 17. Rusty Angeler is giving away a fishing kayak. Giveaway ends May 15.